China and Pakistan signed a $46 billion deal last month that would improve trade between the two countries and make China an increasingly important player in the Middle East. Following discussions between the two countries last November, China opted to invest in several projects in Pakistan to improve its currently intermittent power grid with new power plants. It will also build highways, an airport, and oil pipelines to better connect the two countries. With the deal, China will develop a modern version of the “silk road” across Asia that will improve trade with Pakistan and many other countries in the Middle East and Europe through a connection to the Indian Ocean. By having direct access to the Indian Ocean, China can avoid pirate-laden Southeast Asia waters and dramatically reduce the distance that ships need to move to get to other ports in the Indian Ocean and Mediterranean Sea. Pakistan will also improve relations with China, improve its economy, and reduce the now-frequent occurrence of power blackouts. With this deal, China will spend more in Pakistan than the United States. Furthermore, while China is investing in the Pakistani economy and creating win-win solutions to economic and security issues, since 2002 the United States has allocated two-thirds of its $31 billion in foreign aid to Pakistan towards the “war on terror.” Along with the “containment policy” that the United States uses to mitigate China’s influence in Asia, the preoccupation of the US with security issues in conjunction with its increased use of drones in Pakistan under President Obama goes to show that while China sees Pakistan as a partner, the United States merely sees it as a problem. 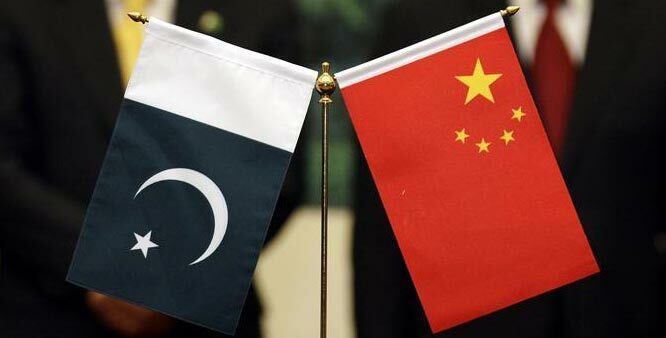 While United States policy towards Pakistan is well-known and often justly criticized by most libertarians, the China-Pakistani relationship is often overlooked. China’s rising status as a global superpower elevates it to the same league as the United States, and Pakistan’s geopolitical relevance as a neighbor of China and a major player in Indian Ocean trade makes the deal between the two countries critical. Considering the fact that both countries have nuclear weapons, it is an important bilateral relationship both economically and politically that will continue to grow in the coming years. While China should be praised for not getting bogged down in the endless wars that the United States has waged, its investment in Pakistan is an important point of consideration for libertarians. Although $46 billion is a manageable sum to invest for the most populous country in the world, the same cannot necessarily be said for its private sector. Like the Interstate highway system or other public transportation programs in the United States, major investments are considered by many to be in the sole realm of governments with tens of billions of dollars at their disposal. Yet this does not always have to be the case. In this instance, major Chinese banks, including the China Development Bank and the Industrial and Commercial Bank of China Ltd., will invest in the project alongside the government. Chinese power companies are also investing in Pakistani energy production. Even in a country run by the Communist Party, some private investment is nonetheless a part of this major project. Of course, it would be optimal to go a step further and take the government out of the equation entirely. Instead of a few people at the top deciding what happens to tens of billions of dollars in tax revenue, private investors could determine the direction their money goes with more incentives for success. Government officials have much less to lose politically from a failed project than investors have to lose economically. The main objection from supporters of government investment is that the private sector, particularly in China, couldn’t come up with the funds. But what is there to stop the aforementioned banks, energy companies, and other infrastructure developers from working together on a project of this scope? By expanding access to markets as has already been done in Hong Kong and Shanghai, the Chinese government can allow its private sector to flourish and its economy to become a world leader in international development and trade.